hello guys ………..plz me …….i was a fair skin girl but i dnt knw wht happen i started losing ma colour…….i m really worried ……i m thinking to take vit c but vit c wont work alone so wht should i take wth vit c……..i thing to remember i was fair before ……..
this likas papaya soap actually workes……..????? ?plz help me plz…………. Well, first of all, if your desperate to change your complexion, and if your worrying about it, NOTHING is going to lighten you. Calm down! Take a deep breath, its ok, your beautiful :). The first think you need to do, if your not already, is drink lots of water, drink green tea if you like it, take about 2000-5000 mg vitamin C a day with lots of water (i cant stress how important water is) and if you want, take some other skin lightening supplements, and use likas papaya soap. But, like i said you HAVE to believe that its working. Now, my regimen is green tea, 3000mg vit. C, 1200mg NAC, and Glutathione, thats IT! No special soaps, or creams or anything. I’ve taken those before along with chemical peels, likas soap, sun protection, hydroquinone, salt baths, etc. and got some results (not much), and I’m lighter NOW with just taking a few supplements (without sun avoidance and protection) than i was when i was using everything i could think of. The difference was that I KNEW it would work. I focused on my goal complexion, and I’m getting lighter everyday. When i reach my goal, I’ll be sure to post before and afters. Good luck to everyone, and I love you all! Peace! Just a heads up; you should ALWAYS wear sunblock even if your skin is as chalky as a chalkboard. ….Not those green ones. Because your at risk of sun damage/ skin cancer. Anyways, same goes for people with oily skin for moisturizing. Prevents pre-aging wrinkles. If it gets TOO oily use oil absorbing sheets, but still moisturize. Your skin will really thank you in the future for both ^tips^. Kay, that’s all people. Stay fabulous. what glutathione are u taking? im taking metathione, is it ok? i thought u said taking glutathione pills or supplements does not increase the glutathione levels in our blood? i’m using met tathione too. is it true that it does’t work? I agree with ur suggestion Erin 🙂 but could you pls tell me the name of of the tablet (vitamin c) which we have to take. becouse as of now i am having celin 500 mg (vitamin c) so is this a right tablet for skin or not? Yeah that’s the right amt!! Take at least 4 caps a day. (i.e you are having 2000mg/day). When having, just even out each caps(500mg) for the eitire day. Please can u tell which supplements do you take and in what quantity? can you please tell me the name of the vitamin c supplements that you are using? I am suffering from the same condition. I was light in colour few years ago but now my skin is pretty dark. Can you please help me I am quite depressed lost all my confidense!!!!!!!!! I have researched alot about NAC and Vitamin C supplements. However, I am not sure which brand is good so can you please suggest what brands your using? that will be very good if you can share the brands of NAC and Vitamin C.
for powdered form to see result or tablet form works..
and also confused like what regime to follow like confused with so many reviews like (3000mg vitc + 1200 NAC+ 1500Mg vit e+ 600mg alpha lipoic acid) and some one also mentioned like to follow ( 3000mg vit c + 1200mg NAC + pycnogenol 300mg)… I am confused which one to follow and also really really scared of the side effects coz i had side effects by just having 3000mg of vit c had a bad UTA problem for while .. still very much intersted in lightening my skin but scared it would harm my health.. so i am really intesrested in simple yet effective skin whitening regime please give me geniune reviews with the right dosage of above supplements. 3000mg of vitc + 1200mg of NAC + Vit e 1200mg +600mg alpha lipoic acid is this the right regime to follow without side effects for a day….. coz scared of having NAC 1200mg and VIT C 3000mg will this give any side effects. try taking a deep breath. the thing is that whitening regimes work differently for differently people. some people respond to things better while others don’t. take a look at allaboutskinlightening. obviously people are telling you their own regime and that works for them but it may not work with you. there is not a perfect formula, if there was wouldn’t everyone be the skin color they desire right now? hi, I just bought a 30 capsules of UNO Glutathione, I want to try It because I want to achieve a lighter skin color. I am using a Vitamin C and E and fish oil until now, and now I’m very excited to add Glutathione for my skin lightning. I’m so happy for the results of Vit A and E and fish oil, It helpd me so much. I dn’t hve much pain even I work the whole day. my skin get lighter. Hi Hessa, I really need your help. I’m getting married in a weeks time. I haven’t been well and have tanned a lot recently. I was wondering whether you know of any kind of quick fix. I’m kind of desperate, don’t really know what to do. Hi Samina, you can try a simple turmeric mask (turmeric mixed with castor oil), but 1 week is quite short. I’m not sure if that can help much. I want to really get lighter in a month time. I plan on buying those supplement tomorrow. Do u have an idea where I can buy 1000-1500mg glutathione in south Africa? Or can Vitamin C do the work within a month? I’ve been using the mask daily. It seems to have helped a little but obviously wasn’t expecting miracles given the short time period. Unfortunately there doesn’t seem to be much else (safe) that I can do. Thanks for your help. i surely got a bit improved skin BUT….thats right that glutathione doesnt get absorbed from gut….the things that actually work in these pills is alpha lipoic acid and vitamin c which improved skin…. i will again tell about my results here after a month..
take care all n have a good health. what’s the dose for the vit.c and L-glutamine? We do not get Glutathione pills in India. Will taking vitamin C pills along with Glutamin pills work? If so which vitamin C and which Gutamin pills are good. Please let me know. I am very desperate to have a lighter skin tone. hey dint you read above….. glutathione pills are jz marketing funda….. you will not be benefited by them.. rather take its building blocks.. as stated above. Hi,i’m trying to get whiter for Cosplaying (Japanese Anime thing) and i was wondering if drink 1 – 2 Carton’s of Orange Juice a day will help lighten? I’m not talking about the 1 litre ones o_o….I have a very brownish skin (i’m not indian) and i only tend to look white under certain situations….and does anyone know a good brand to use on those annoying pimples? Store-bought orange juice is not healthy, not in the least. Forget about skin changes, instead you can expect some serious weight gain from that much sugar. You’d be better off spending your money on actual oranges and squeezing juice from them fresh. you can use argan oil.. very effective to people with skin problems, especially acne/pimple problem.. wash your face with any kind of mild soap then put argan oil all over your face and neck befoou re bedtime.. it really works, just be patient ok? by the way, be sure that you are using only 100% pure organic argan oil.. hope this helps! by the way i’m 14 , 15 next year, so as u can see, i gotta stretch pretty far, and i’m on a budget too. The cheapest way is to get pure Vitamin C powder at a health food store. A big bottle will cost about $8-10, and one teaspoon will contain 2-2.5 grams of Vitamin C that you can add to water and drink. hi to all just concerned why hitler lost the war lol very insightfull reading and its good to hear we all want lighter skin so… if you are realy interested then i consider the following 1.drink only bottled water 2. keep record of urine ph levels and drink vineger if to alkyline or baking soda if to acidic 3.eat only vegitables and wheats bread being staple for vitimin c storage 4.fasting will add to a pale complection and also l tyrosene will lighten skin pigmentation for visible affects 5. cover body with dark cloths and you should be pale yeah and dont worship idols lol. I m taking 1000-2000 mg of vitamins c pills since last month..
but i don’t think it effecting my skin..I aslo need to know if am to take it on a empty stomach or with plenty of water…am dark in skin colour and I need to know how long it wil take for me to get lighter. Trying NAC 1200 & Vitamin C 2000, my research shows it will do a decent job, plus Likas Papaya soap to bring in the new lighter skin. I’ll update in a couple weeks also taking MSM and of course sunscreen. is L-Cystein same as NAC ? IT WORKS…with the rite vitamin c..try nutrilite vitamin c..organic n the best vitamin !! que ignorantes y racistas son hijos de hitler aceptense como son………….. I m taking 1000-2000 vit c tablet(celin) per day. But i don’t think it working on me.. So plz can you tell me best vit c tablets. Can u plz tel me the best vitamin c tablets with work on my skin. I m also taking celin from last 2 month.. But i doesn’t see any effect of it on my skin.. Try to use another vitamin c.
I started taking Vit C1000mg tablets 3xday and vit E 200iu 2xday after reading your article last year october. I can tell you I’m now one shade lighter. My hands used to be darker than any part of my body and wouldnt want to touch my face in the presence of other people as they looked like they were not mine. I’m so happy with how they look now, they are gradually becoming lighter. I started swallowing them whole and couldnt see any results after 3 months. I then started to dissolve them in water overnight for the morning dose and soak the midday dose in the morning and so on, and the results were great. I take them on empty stomach before a meal for good absorption. They taste like lemon water, they are drinkable. Dont expect quick results, be patient, just take them as a food supplement as they benefit the body in numerous ways. The truth is, they will lighten your skin. I have been taking daily doses of 3g+ vitamin C for two months and one week now, but there is no change in my hyperpigmentation or skin tone yet; anxiously awaiting. Were you one shade lighter by four months? Did you continue to take the pills and get lighter still? I wrote to Norma regarding this, but received no reply. Can you tell me, did you get lighter using vit C? If so, how long did it take? Norma so do u think I should dissolve them, and that I should take them on an empty stomach? ?? Because I’ve been taking 2000 vit c for a month now but still no results. ..
Hi i have been taking Gluthamine pills for about 4-5 months fromivorycaps at the start i saw my skin did start to get lighter but i was also taking vitamin C with the Gluthamine pills.Im starting to beleive that my skin becoming lighter was due to the vit C as the Gluthamine does not work anymore and im not really taking the vit C religiously like i do with the Gluthamine. i am now going to cut out the Gluthamine and stick to the vitamin c i do believe its a money making scam ive spent atlest £200 already but even though i know its not working i feel reliant on it which i don’t understand maybe its because i feel so insecure about my colour im not sure.but does anyone know a more appropriate alternative for the Gluthamine pills which is safe? i saw someone also commented the l-Glutamine can give you heart problems is this true? can i take vit c al0ng w/ antibiotic$.? i have kidney trouble and i think it wil worsen. “60-100 mg/day supplement recommended for CKD patients (dialysis and non-dialysis). I am reading in disbelief …you all cannot feel that insecure with yourselves…I a really dark (Caribbean ) and had no urge to bleach my skin…gosh I am sad for you all..
I’m in agreement with you. It is sad,to read all these posts, so many young people that are so unhappy with themselves. I was super sick with osteomyelitis. I have mega allergies my doctor ordered long term super high vitamin C IV’s weekly for many months, when it was over my skin was like three shades lighter I looked white my sister was like wow, you look so beautiful you could model! Suddenly, I was being treated, like a star! “I felt humiliated because people were really dismissive.” Well, that is how racism works too, you feel the sting, when you out you get tired of it , it is hateful, rejection, so mean and hurtful. I’m treated a lot better if my skin is few shades, lighter. Why is that? Because ignorant, mean people are racist and were raised by some retards that lack sophistication that taught them this disregard for others based on skin colorr. I think being lighter gets you better jobs, work on better bigger projects, recognized in fields, more likely to date hotter guys and more likely to get lead role in play, and get a better table in restaurant, and the list goes on . I did not make this way, but this is the way it is in the place we live and if you live in place that is not like this you are lucky! Sure you can say, who cares accept me this way, but you will feel the dismissiveness and the sting. Iam taking 600 mg Vitamin E & 500 mg Vitamin C daily. It doesn`t made any result after 1 month. Do I increase the mg of Vitamin C for lighten my skin colour? Kindly advice, How much mg will take to lighten the skin by one month….? How to get a fairer skin by one month? Ok, so what is the real doseage for this regimen? I really like your way, how you explain every thing so well. By reading your useful information i learned alots of good things. I need to know one thing? my age is 21years old..and my height is 5.9, I was taking normal meal every day but now i drink lots of water with fruits n fresh vegetables. Well, what would you suggest me to get lighter skin? Should i take more amount of vitamin c? or any other suggestion? i will be very thankful to you.. I remember once I invested in eating carrots ! (oh I’m South African by the way). My skin became brighter, if not almost orange. I’m not dark, so I guess The carrots worked well. I take it that Vitamin C does work. I read that it kinda inhibits malinin production. So you can get lighter by taking Vit C. Applying lemon on my skin also made me pale,yellow, or light ! Yah. But i did not put sunscreen on so i lost the lighter shade! I did all this when i was 14 or something. (because i wanted to see if eating orange things would really make me ‘orange’..and it did.i was a silly kid :D). So I can say from experience that citric fruits work ,therefore Vit C will make you bit lighter. Hope this helps. Hi everybody.. Since 4 to 5 years i have been having psoriasis all over my body and even it if is being treated that left many dark spots or dark patches all over my body! I am unable to wear any short sleeve blouse or skirt even if the psoriasis is not here since 5 years! I really wish to know how can i eliminate these dark patches as that is really affecting me socially! I hardly go out (only office) and i hardly get out of my room once i am back home, as i am scared of people seeing me in that state. Anyone has any suggestion, please do reply me! Thanks . Is it safe to take 3000mg of vitamin c a day? I haven’t had any side effects from it however I’ve read some things and it is a lot more than RDA. I took it in the past and it worked really well, then I stopped, went back to my original colour and now nothing seems to be happening … Are there any other supplements that can help? Hi Samina, I’ve taken 5,000mg of Vitamin C and above a day with no issues. I’ve found that my body uses up a lot more when I’m sick/healing/tired/stressed/eating poorly. So Vit C will go to fixing all of that stuff first, and then work on the less critical bodily functions (eg skin). 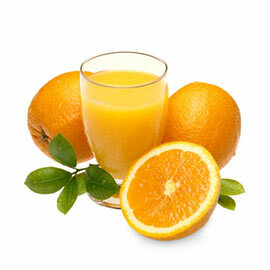 Hitting “bowel tolerance” with Vitamin C will tell you that you’ve taken enough Vit C for now. Thanks for finally writing about >Vitamin C and lighter skin <Liked it! you all need to love the color of your original n natural skins. Stop that steriotypical thot that white skin is supreme. We’re not in the 17th century anymore were your color of yo skin depics your life-style as well as success and respect. God has a beautiful reason for making you who you are! Stop trying to look like other people, just be yoself and happy in skin and other people will respect you. Because whatever you try esp. These so called medication regimez to whiten yo skin, when you stop you will soon go bac to yo original skin color. Believe it or not. hi,i have a wheatish skin tone,my face is pale and duller in tone ,i want to have one tone fairer face and body.after going through all the statements ,reviews and feedback im sorta confused whether to take vit c solely or with other vitamins,precusors of glutathione and other supplements to whiten my skin? i used Gluta white 500mg + Vitamin c dissolve in water 1000 mg it is ok? hi.. hessa.. how long will it takes to see the result of those vit c, vit e, & etc. when you start taking those said medicines? pls.. i need your reply. hope you can answer me. Skin cells replace themselves about every 30 days, so you can use that as a guide — though it’ll be different for each person. I have been taking 500mg reduced Gluthathione with 3000 mg of Vitamin C for a month. There has been no lightening effect on my skin but my hair and nails grew really fast in this 1 month. So I suppose it has somewhat positive effect. I don’t know if Vitamin tablets will work…? I’ll try to swap for power vitamin C 5000 mg a day if that makes any difference – I shall post my experience in 2 months. Ja that should be ok, can I ask how much strength or does u wanna use? oils I then I moisturizer with my oils. Iay a hot cloth on my face and pat 2 times. In other words Open your pores after cleaning, add moisturizer and hot cloth 2 times to soak those oils in your skin. I’m telling you I have been doing this two weeks now and I cannot believe my skin. It’s changing daily for the better. Sooo supple and clearer. Hi.. m a 23 years old girl. I used to be fair in complexion till 16. But after that my exposed areas face, hands and feet got darker. I think due to sunburn. I used sunscreen creams but was of no use. will limcee 500 n evion 400 help me in getting my original colour. M getting married within 6 months. Please suggest me. N in what amount should i take..??? You should exfoliate and take vitamin c and vitamin e together. If its possible also take NAC supplements. You should search the Internet for appropriate amounts of each supplements. Read the studies on Google scholar. Also use some good exfoliant or a lotion that contains alpha hydroxy acids and use consistently till marriage. Also regularly use vitamin c serum, I have seen great results in just two days, my pimples are gone! Its unbelievable. Try all these very consistently, nothing happens overnight, or in two or three weeks unless u are very lucky. Six months will be good for you to see complete effects. Also buy kojie san or likas papaya or diana stalder skin whitening soaps and use consistently, they alone can make u very fair. Also, I don’t think just eating a single supplement can help too much or as much as u are expecting, so start doing multiple things together and with research. And do consider bi weekly or fortnightly facials at salons, skin whitening facials, they will help you get rid of tans.